I hope your house didn’t get trashed during mischief night last night… If it did. I’m so sorry. I carved my p umpkins last night, which was hilariously awesome. I generally really enjoyed that part of it. I usually do some abstract faces but this year I went with Starry Night and a Haunted House. 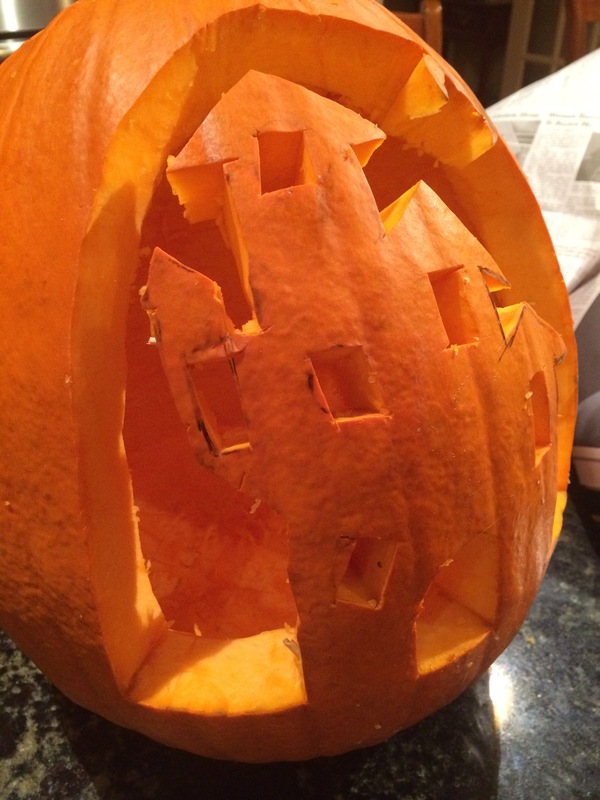 I had to reinforce a few places with toothpicks… But whatever! I had fun doing it. While I did this, I was saving my pumpkin seeds, because I love roasted pumpkin seeds. However, I have since learned that 1 cup of pumpkin seeds, roasted with no oils or anything added is like 7 points! To be fair, a 1/3 cup is only 2, and that’s all I brought to the office, but still. It makes me cranky that my seeds cost points. There I was thinking I was clever when really I was adding points to my day! 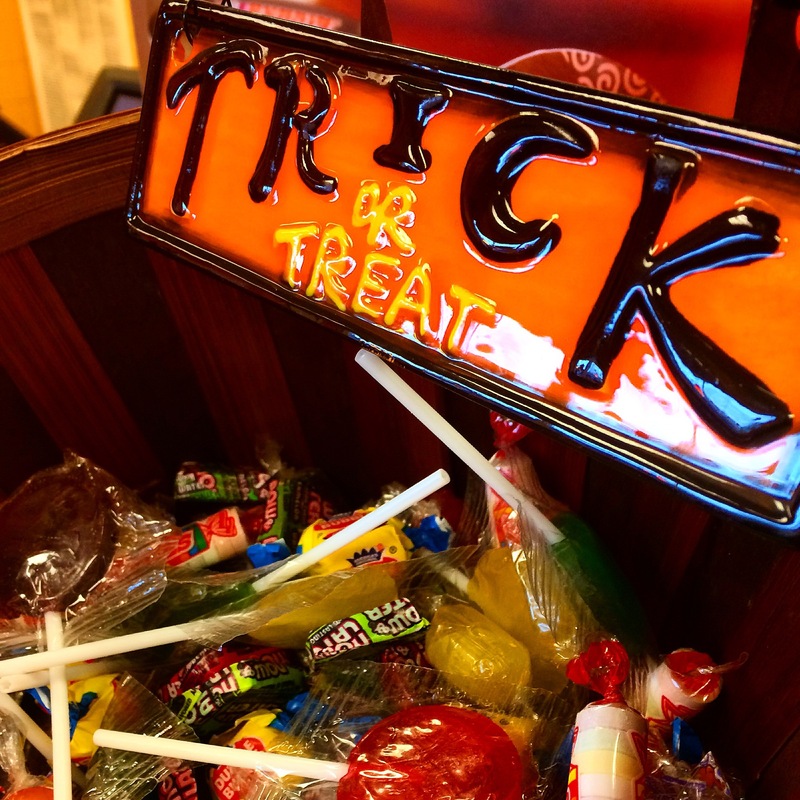 Regardless, its Halloween and that means candy. Despite the holiday celebrations this week I’ve been pretty good! 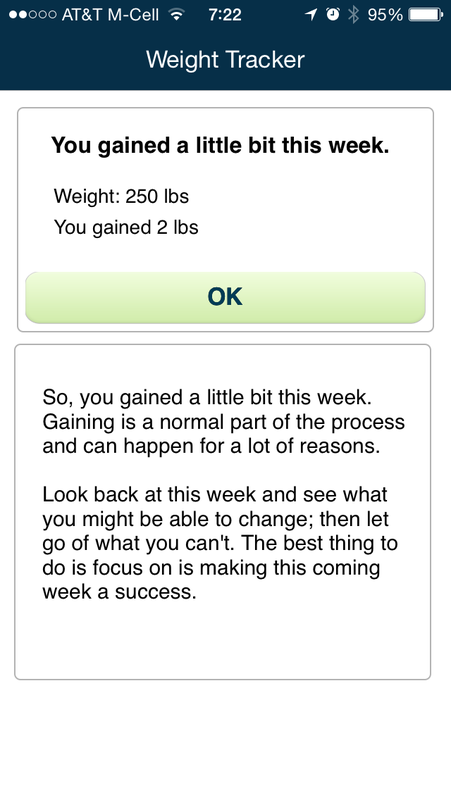 And my weekend is pretty clear of heavy food things so I’m hopeful that I’ll have a good result on the scale next week! I’ve finished my, what I’m calling, probationary week on ActiveLink and now I’m getting all the the info about my activity and not just what I do in my sleep. Did I mention I can wear this thing in bed? It monitors my sleep. I apparently don’t toss and turn as much as I always assumed I did. Anyway. I’m now on the challenge part of my ActiveLink. 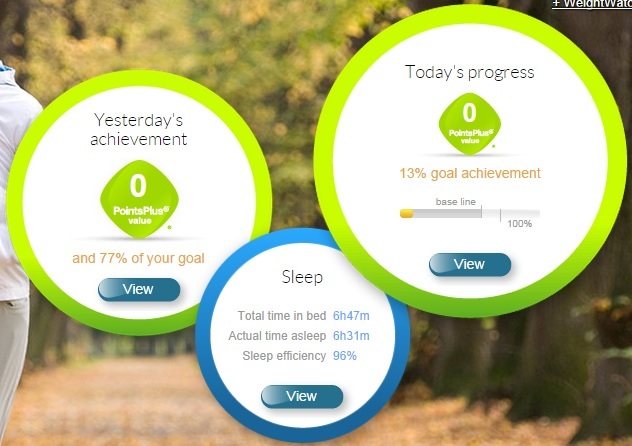 It wants me to be earning between 2-4 activity points a day by the end of the 12 week challenge. I think I can do it? In two weeks I’ll be living in my new apartment with the super nice gym that will be free for me to use at all hours, so that should help with the exercise thing. Mainly because my sister has told me that she’ll kill me if I don’t take advantage of the gym facilities. And honestly, whats the point of paying the amenities fee if I’m not using the amenities? Other than that, I’ve enjoyed seeing just when and how much I move. Its interesting. The numbers are from just after I got to work and plugged it in to sync, which is why my ‘today’ number is so low. Not that I’m really expecting it to get much higher. There isn’t a lot of movement going on during the course of the day. At least, not big movements. Part of this is me realizing that I need to really get up and move for at least a few minutes every hour. Which is something that has been told to me on any number of occasions, but its now becoming really clear that I spend most of my day not moving a whole lot. So yeah. Here’s to moving more. Am I right? Addictive little things aren’t they? You can’t just stop at one can you? You have to go ahead and eat the whole box. Or in my case. The 200 packs. Now I’ve taken to eating tic tac’s because they’re sweet and small and a little bit crunchy so they satisfy a lot of needs. 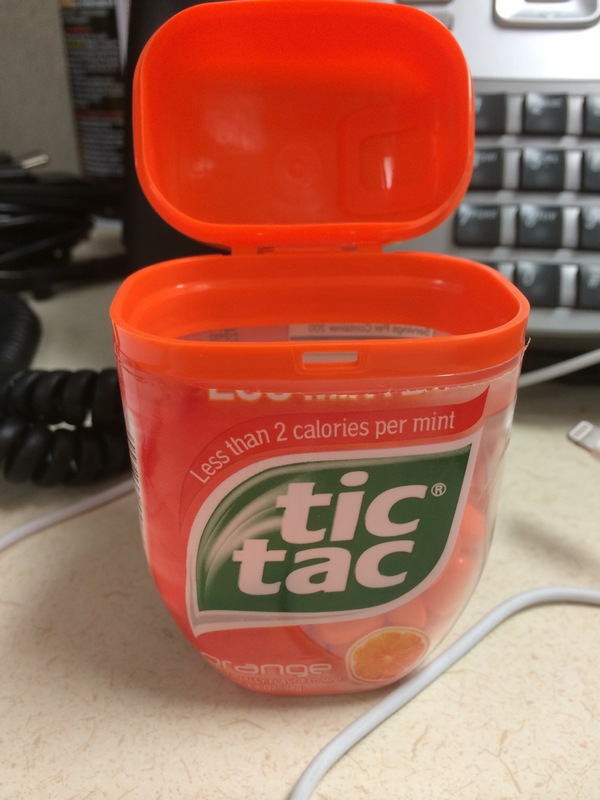 But I realized yesterday that I wasn’t actually tracking my gigantic intake of these tiny irresistible candies. So I looked it up today on Weight Watchers. And wtf. You could (and I have) eat the entire 200 box and not have to track a single point. There seems like there is something inherently wrong with this situation, but at the same time, who am I to look a gift horse in the mouth? I eat a lot of the stupid candies and they keep me from snacking on the seriously high sugar, high calorie, high point value things that I would be otherwise. That said, I’m not a huge fan of putting maltodextrin, tartaric acid, magnesium stearate, ascorbic acid carnauba wax or artificial flavoring into my body. I gained two pounds this week. Which is not great. Clearly. And a disappointment because I basically took back the weight I lost. I know that a lot of it has to do with my weekend and what I did over the course of it. I also know that I wasn’t the greatest at tracking (because I didn’t track anything past Friday afternoon) nor did I really exercise all that well. This is ignoring the walking around I did on Saturday as I explored my college campus during Homecoming (I got a whole 7 activity points for that day). That doesn’t however, excuse the pretzel and four beers I had on campus and then the four more I had at my friend’s house and the three pieces of pizza. 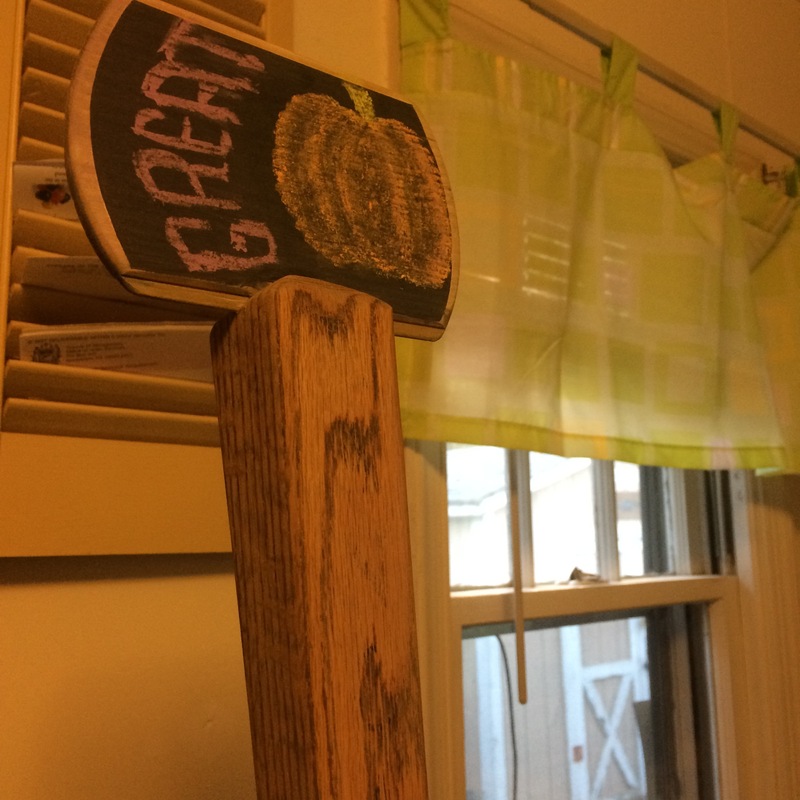 “The Great Pumpkin” beer on tap at my friends house! Now, because I know my friend reads this I’m going to say this mostly for her benefit: My eating and drinking was in no way her fault. I know that I have a problem when it comes to stopping myself from eating pizza or drinking beer when I’m in a social setting like I was. It’s just something I need to become more aware of and refrain from doing. Staying up until 1 a.m. did not help the situation at all. We all figured that somehow, we had gotten old and needed regular a bedtime of more reasonable hours like… 10 or maybe 10:30 if we want to be rebels about the whole thing. I rued the day, being as I would say ‘delicate’ on Sunday. Feeling not at all well, but having to drive back from Pennsylvania and somehow survive the trip was something I didn’t want to even consider. But I’d promised my grandparents that I’d go up and visit them on the trip home. But, what this resulted in was my grandfather, who I love and adore, buying what is quite possibly my favorite sandwich in the whole freaking world. I am aware that it doesn’t look like much. But let me explain to you this sandwich. 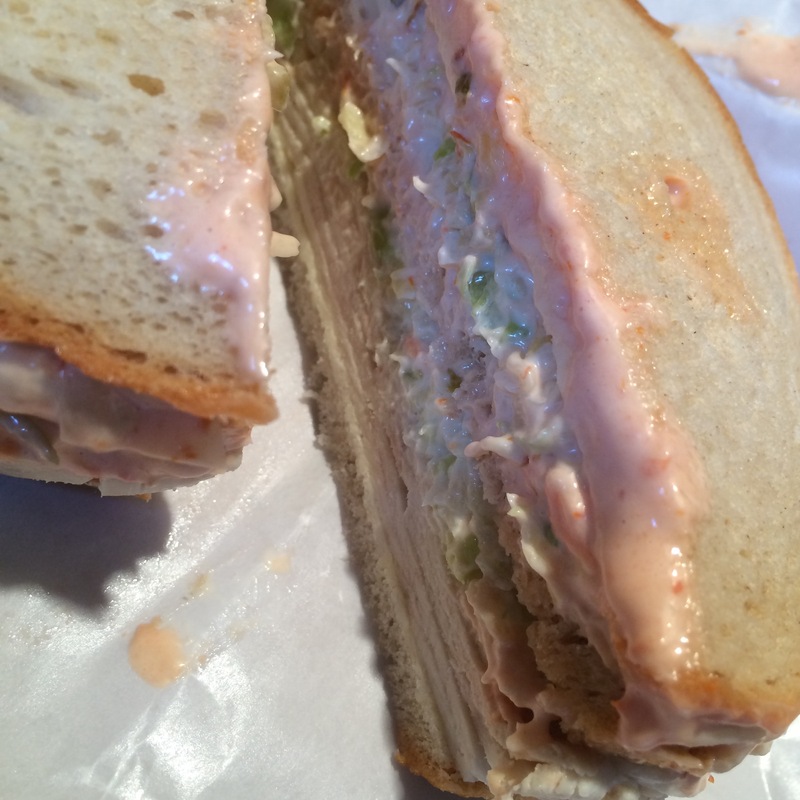 It is called a Sloppy Joe and this type of Joe you can only get in New Jersey. It’s three slices of thin sliced rye bread, turkey (although you can get other meats as well), provolone cheese, coleslaw and Russian dressing. It’s sliced into three sections and it is my perfect sandwich. Were I to ever require a last meal this is probably up there with what I would get. That said, I guessed on how much of everything is in that sandwich and it goes for a whopping 22 points. This is not a sandwich you eat regularly or if you do then you’re exercising way more than I do. I had planned on only eating half of it and bringing the rest home for later devouring but I wound up eating the whole thing. I have, apparently, no self-control. To make everything worse, I had youth group last night and we (somehow) decided to walk to Dunkin Donuts for cocoa. And while I wasn’t paying attention I was ordered a medium cocoa with whipped cream rather than the small decaf coffee I would have ordered had I been in my right faculties. I didn’t have much else to eat last night. In the weekly update when you weigh in, it says that its only one week and to try to figure out what happened last week. I think its very clear that I know exactly what happened last week. And I know that to fix it I should pay much more attention to my weekend eating and add exercise in to my routine. So that it my goal this week. To have at least one proper exercise and to be better at the weekend. I will be the first to admit that this sounds really very wrong. Because who would put milk into a pot and bake it with the chicken? And with lemon juice, cinnamon and sage no less. It’s a very VERY strange combo. But, Mom made it recently and I have to say we pretty much devoured the whole thing. Yes, I know its not a very attractive photo of the chicken, but its the best one I could get while still trying to deal with the fact that my mother had made a minor disaster zone of our kitchen. Plus, the chicken was literally falling off the bone it was so tender, so that was nice. This whole meal, from chicken to the rice and green beans and salad with dressing on it was 20 points. Not a light meal point wise. But ultimately very worth it. Mom started making it before I got home so I wasn’t able to try and lighten it up in anyway, but there you go. It went over really well with everyone, even my Dad who doesn’t like Moroccan type flavors enjoyed it. Preheat the oven to 375 and pull out your very favorite oven ready pot. We used a Le Crueset dutch oven. In that dutch oven put the olive oil and begin to heat it on the stove. Cover the chicken in the salt and pepper and once the oil is hot brown the skin until it is a lovely golden brown and is well on its way to being crunch and lovely. Once that’s done, remove the pot from the heat, take the chicken out and carefully pour out the excess oil. 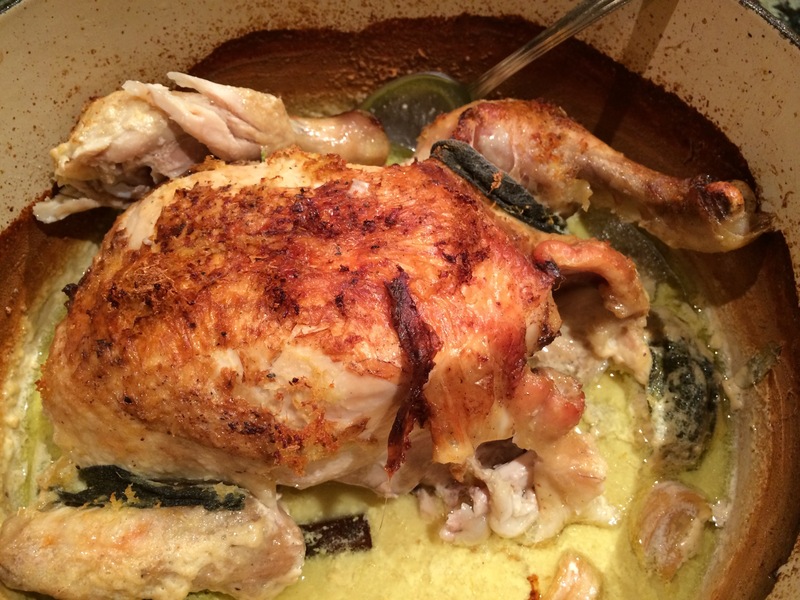 From there put the chicken back in and then add in the sage, garlic cloves, lemon zest and cinnamon stick. Pour in the milk. The lemon zest will actually curdle the milk, which is what you want to happen, it will cook down into a lovely little sauce for later. Put the whole pot into the oven for an hour and a half or until the chicken is done. Don’t bother putting the top on the pot until its come out of the oven and you want to keep the meal warm. Serve and wonder in the glory that is this strange one pot meal. We served this with brown rice (3 pts for 1/2 cup) lemon steamed haricot beans and a salad with balsamic vinaigrette, putting the whole meal at 20 WW points. If you’re not weirded out by the fact that the milk is meant to curdle a little bit when its cooking and you end up making this dish, let me know what you thought. In one of my desk drawers I have Snacks. Now, these are actually mostly protein bars and healthy snacks, but yesterday there were cookies and crackers. 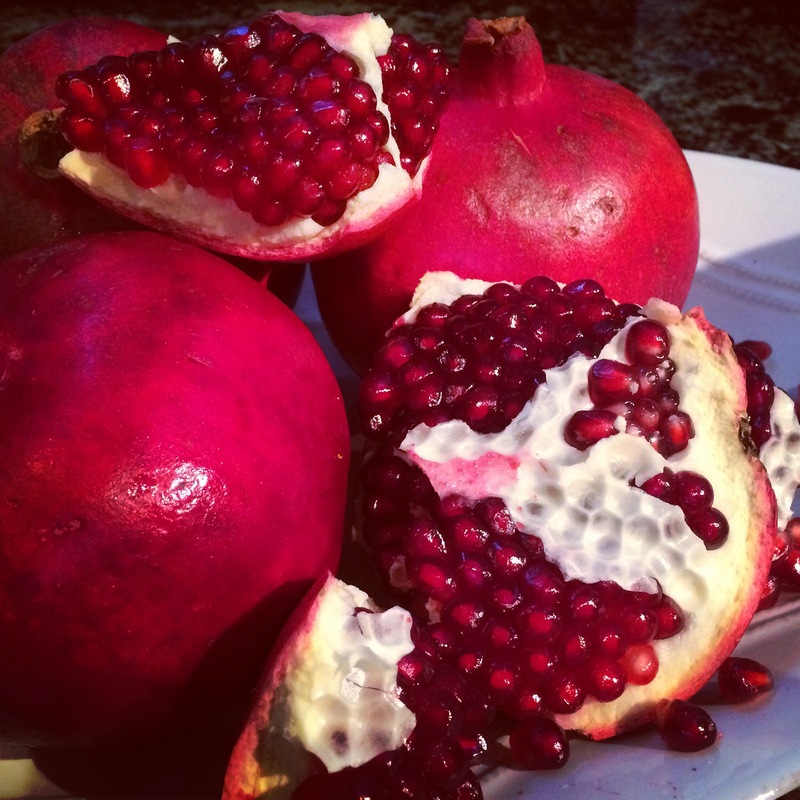 And for some reason, yesterday I felt like eating them all. Yeah. Thats right. I ate them. BUT I TRACKED THEM. Which is huge for me. 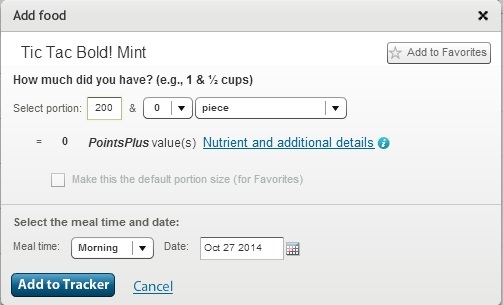 I’m one of those annoying people who maybe sometimes forgets to track things like cookies. But I tracked them all yesterday and I’m very proud of myself for that. But all that carb snacking put me at around 6 points for dinner. And then I got home and ate cheese and bread for dinner after insisting I wasn’t hungry because I’d eaten too many carbs that day. Ultimately, I broke into my Weekly Points Plus allowance and am now challenged to keep it at 36 until the weekend because its beer o’clock and homecoming. Plus a potential trip to my absolute favorite deli in the whole wide world on Sunday to get what might just be my absolute favorite sandwich. I’ll post a picture if I get it on Sunday… Its so not healthy. Aside from that rather depressing situation, I got my WW ActiveLink working again. It’s all set up so that I can wear it every day and not worry about getting a new activity monitor. 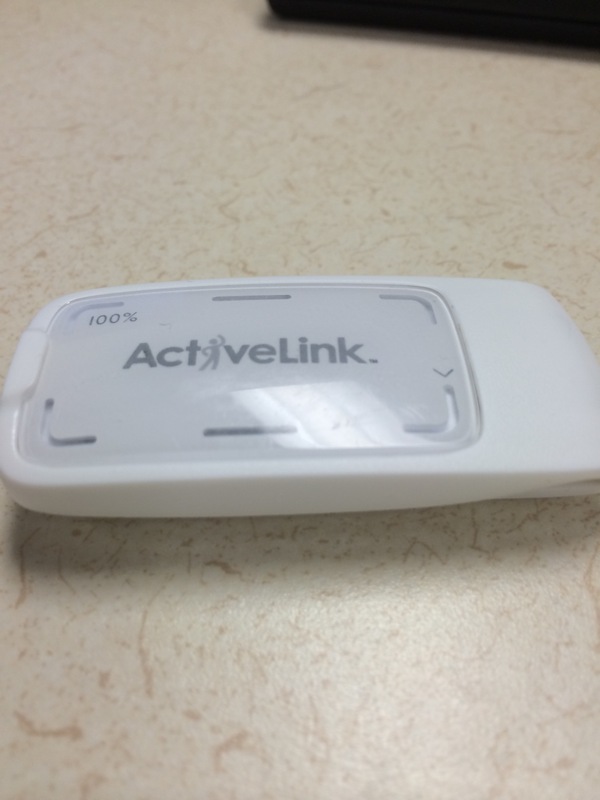 Plus, the ActiveLink connects straight to my Weight Watchers account and I don’t have to convert the activity because they do it for me! So yay for being lazy! For now, it’s “evaluating” me for activity. I wore it while sleeping, and apparently it now gives me sleep measurements? So that was cool. I’ll see how it goes but apparently I don’t toss and turn as much as I thought I did. But that could have been an anomaly. Regardless, I’ll have to start planning exercise now…. Which as we know from the past, I really don’t like.